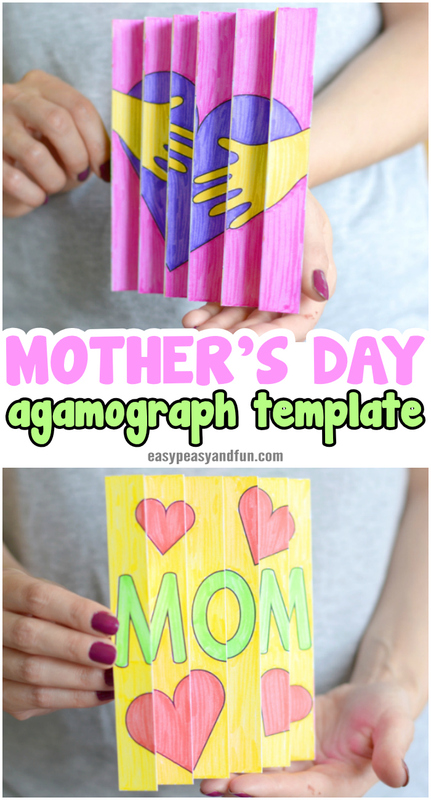 Mother’s Day is just around the corner and as we know you love agamographs we have created one just for this holiday! 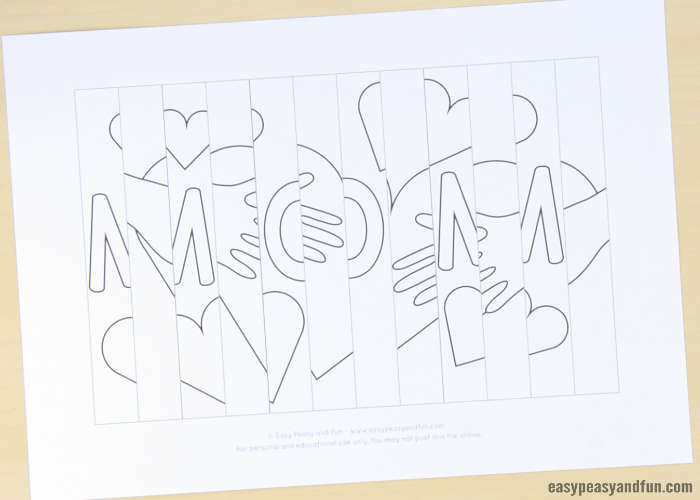 Print out our Mother’s Day Agamograph Template for and make it with your kids (or students). 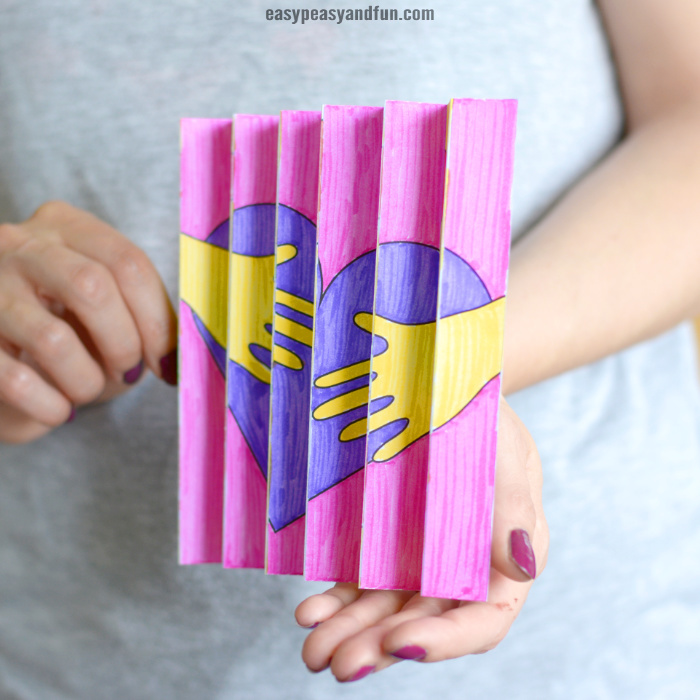 This agamograph is easy to make and will make a nice gift for moms. 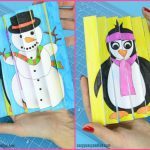 We are all about making simple crafts for kids, and these agamographs are just that, a super easy craft for kids to make! 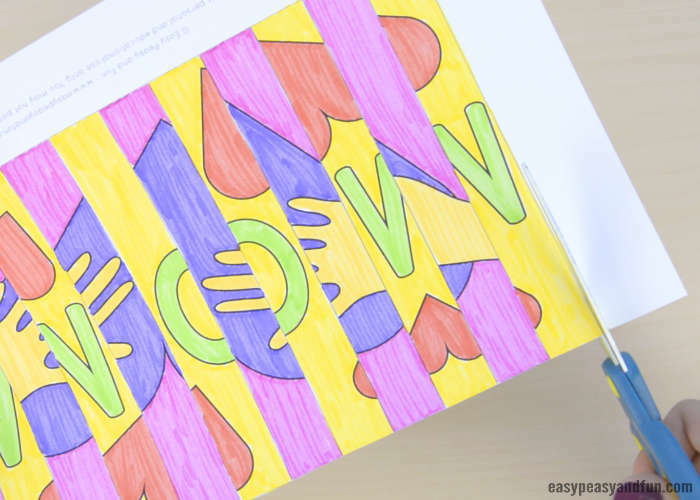 While you can certainly have the kids draw their own, using and coloring a template can be equally fun (and perfect project for the classroom if you have limited time). This Mother’s Day agamograph is an ideal gift for all the moms out there. 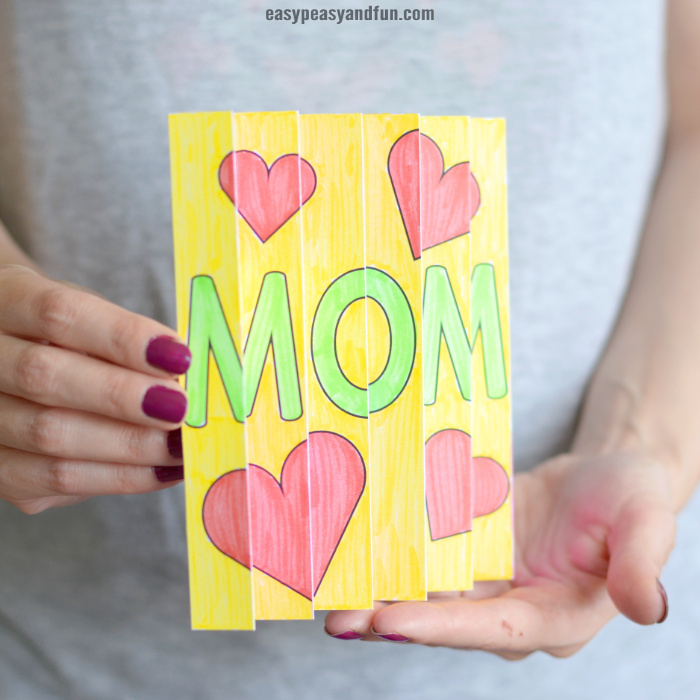 They can easily replace traditional Mother’s day cards and are way more fun. 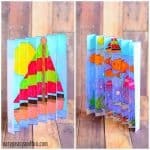 The finished agamograph will fit on almost any shelf or can be displayed whenever you see it fit. 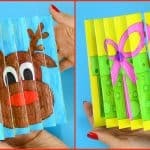 For those who are just starting with agamographs we can only say – they will be really fun to make! 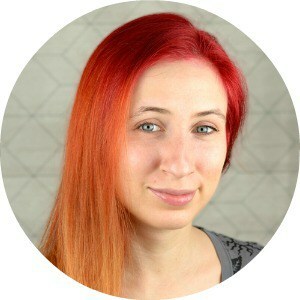 The magic of the agamograph is when you look at it from one angle, you will see one image (a caption “MOM” surrounded by hearts), but when you take a look at it from another point of view, you will see a totally different one (two hands holding a heart). 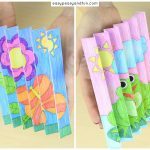 Beginners can print out the version two, color the whole images first, cut out the pieces of the agamograph, and glue them back on alternately to create the craft. You can also use the “version 2” as the reference for when you are coloring the “version 1”. 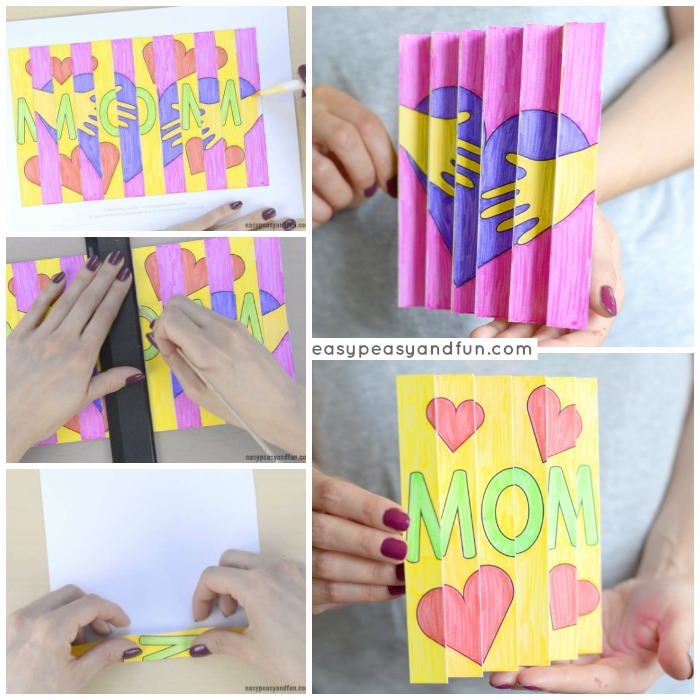 Ready to make your lovely Mother’s Day craft? Let’s get started! 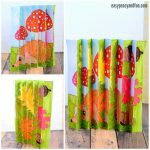 Print out the template – you will find it at the end of this tutorial. 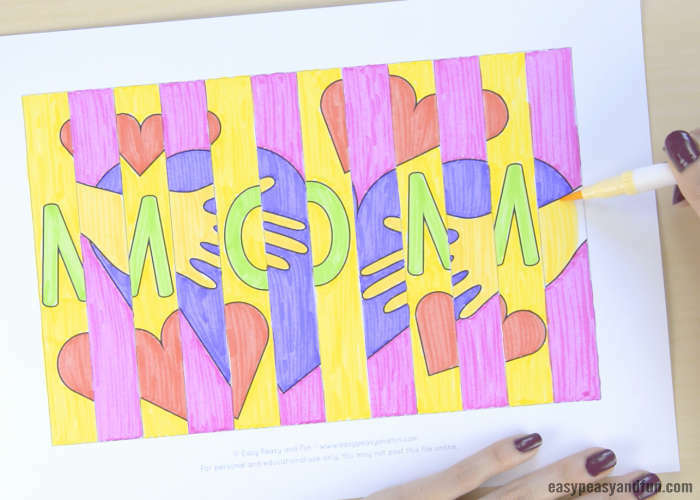 Color the template with vivid colors to make the caption »MOM« and the hearts really pop out. 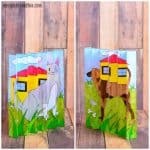 When coloring, you can use the “version 2” template as a reference as it shows both images as a whole. Use your scissors and cut out the agamograph. To score along the alternating images, use the scoring tool (score along the lines that separate the images). We used a wooden skewer as it’s really handy but there are many other things you can use (an actual paper crafting scoring tool included). Fold along all the lines. Fold the first alternating image using an accordion fold technique. Turn the whole page face down and start folding. Press firmly after each fold (you can even run a craft stick across the fold to make everything crisp). Continue all the way to the last fold and slowly unfold your agamograph. Your beautiful Mother’s Day agamograph is all done and ready to bring joy. Mother’s day agamograph printable template version one and version two.